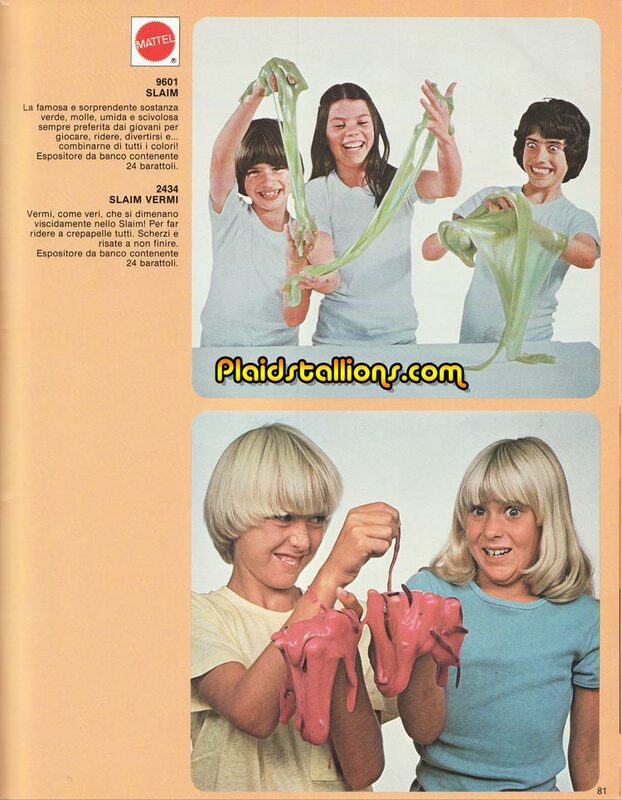 The kid in the top picture on the right looks quite mad, as if he invented the stuff himself. I used to love that stuff and would spend hours at a time having it eat my little army men. It always had a certain smell to it that was unlike anything else. After a few weeks, it would start to get thicker and dry up. I also remember when you could buy something similar in gumball machines. As I mentioned back in 2009 on the picture of that kid, the beginnings of a serial killer.